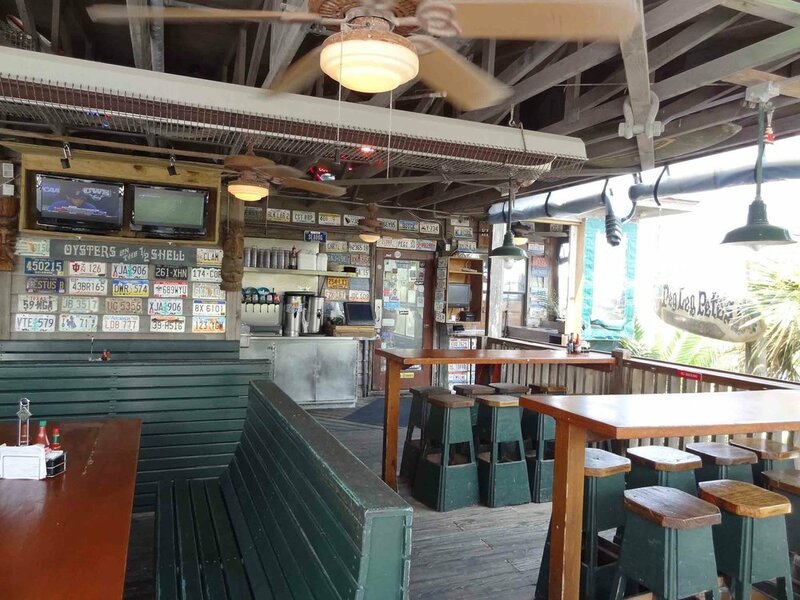 Peg Let Pete's Oyster Bar is a Florida beach bar located in Pensacola Beach. Discover this great Florida beach bar. 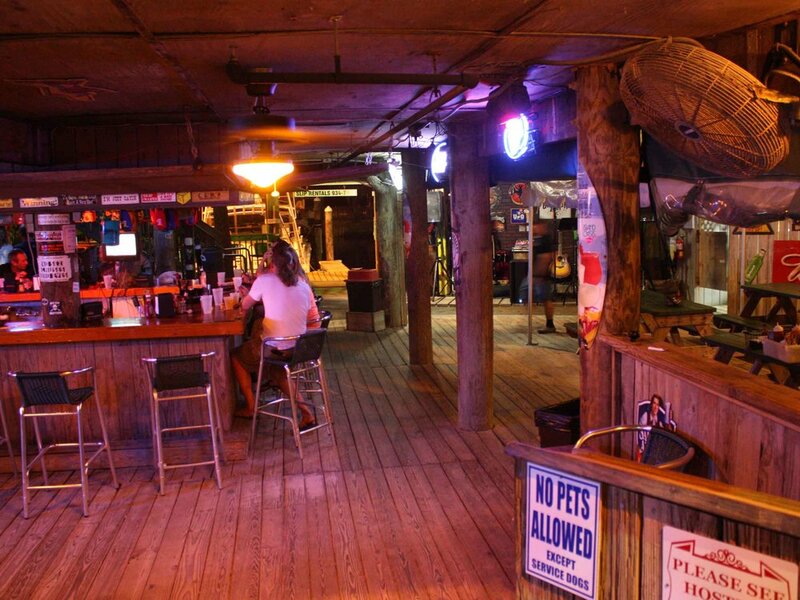 Peg Leg Pete's started business selling only oysters, shrimp and a few sandwiches.This Florida Beach Bar soon became one of the hot spots on Pensacola Beach. 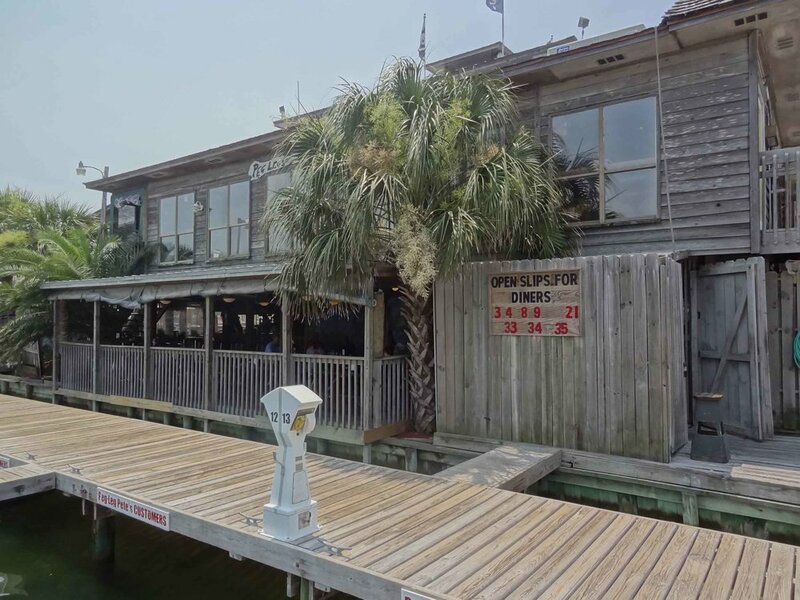 Located just across the street from Pensacola Beach and in front of Lafitte Cove Marina, Peg Leg Pete's is a favorite of both locals and tourists. On the way there both of the cars behind us followed us right to the almost full parking lot. Once inside, it was easy to see why this is local favorite. 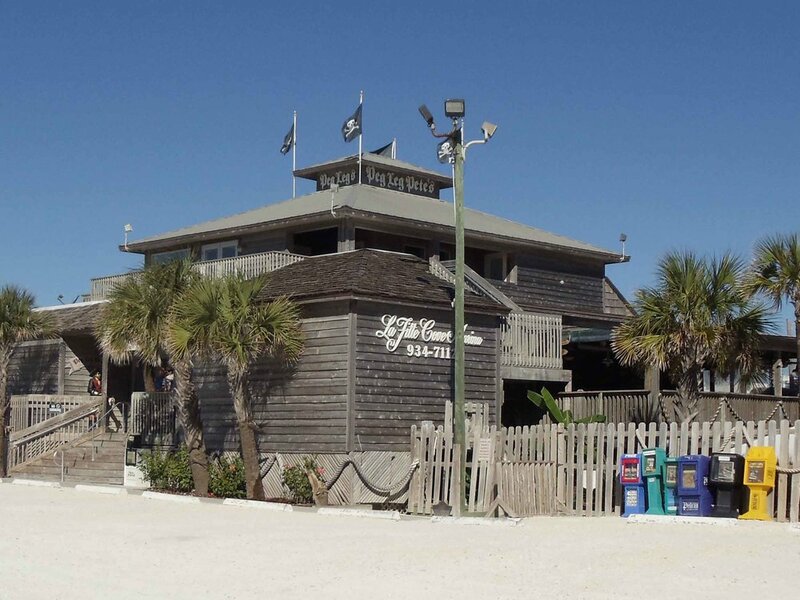 Peg Leg Pete's is a very popular restaurant and bar in Pensacola Beach. Plan ahead. Wait time for dinner can be several hours. The staff at Peg Leg Pete's is friendly and helpful. And when it comes to bars, they have two. 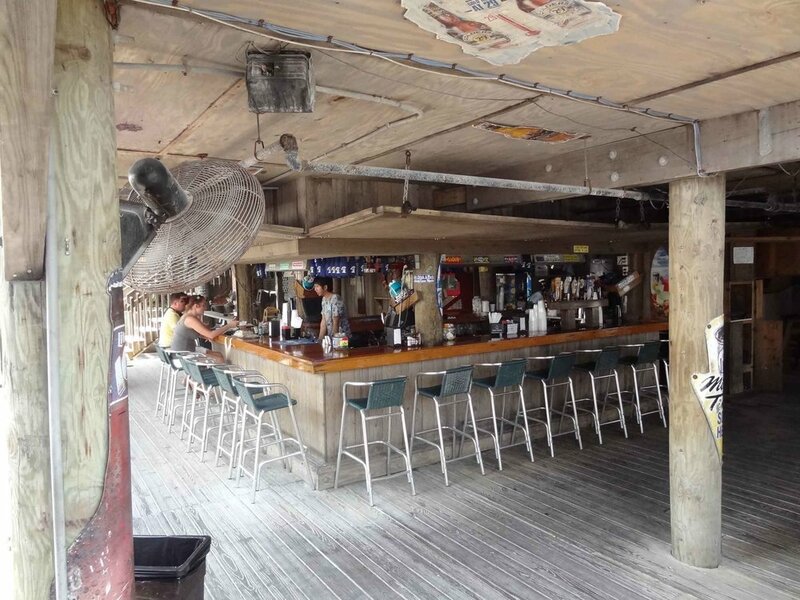 The UnderWhere Bar (great name) is located directly below Peg Leg Pete's. From this outdoor tiki bar you can enjoy views of the water and marina. The Upstairs Bar offers fresh oysters and cold drinks including their Signature Shipwreck drink. Peg Leg Pete's has a sandy area where there is a playground to keep the young ones happy while waiting for lunch or dinner. This Florida beach bar is worth the wait. Peg Leg Pete's has local talent performing live every night during in the summer months and several nights during the winter. So, check their web site for bands and schedules. Live entertainment starts at 6:00 PM and plays "till" the bar closes. This Florida Beach Bar's location is easily accessible by boat or car.